START OFF STRONG WITH BEGINNER-FRIENDLY PERFORMANCE. 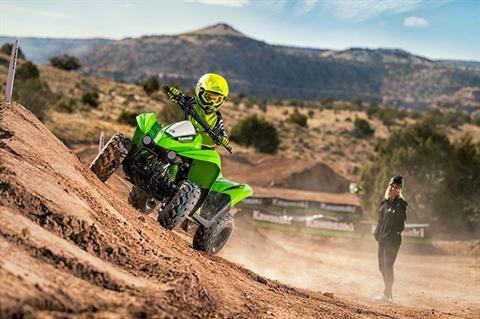 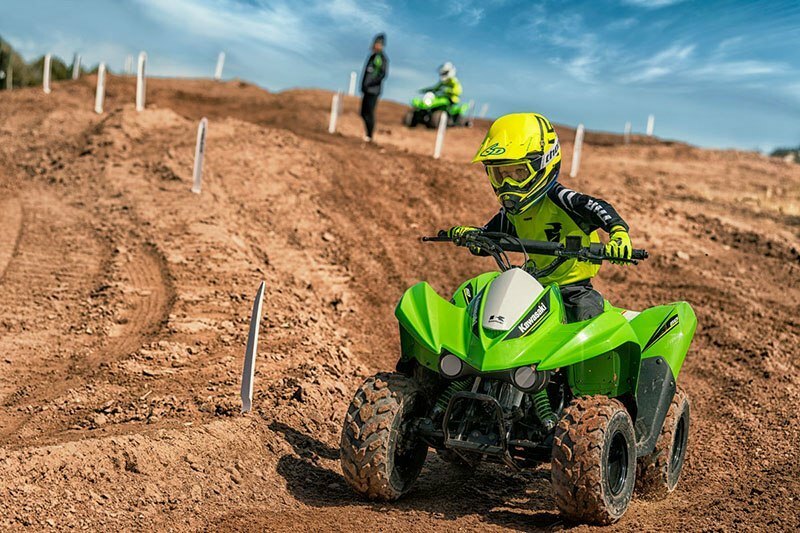 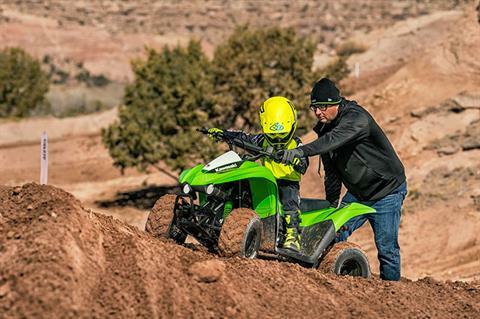 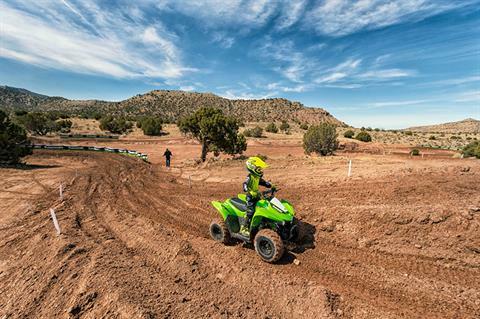 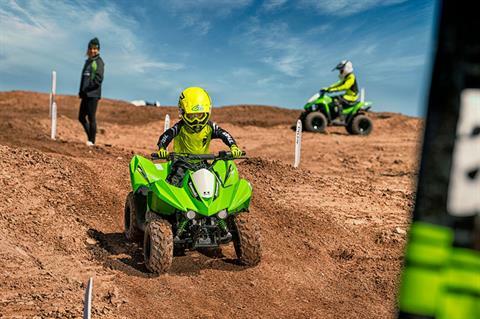 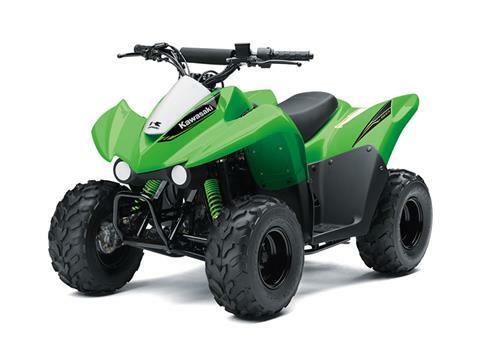 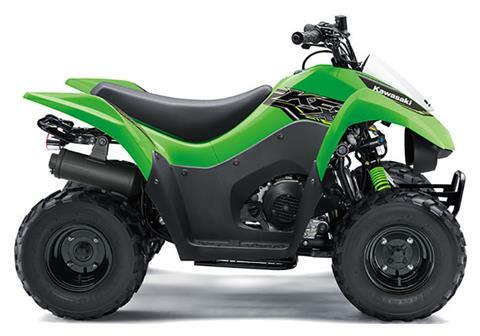 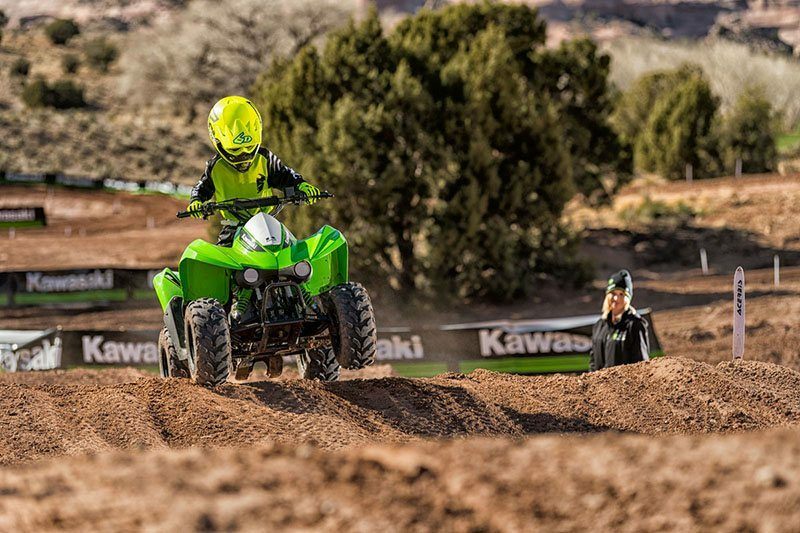 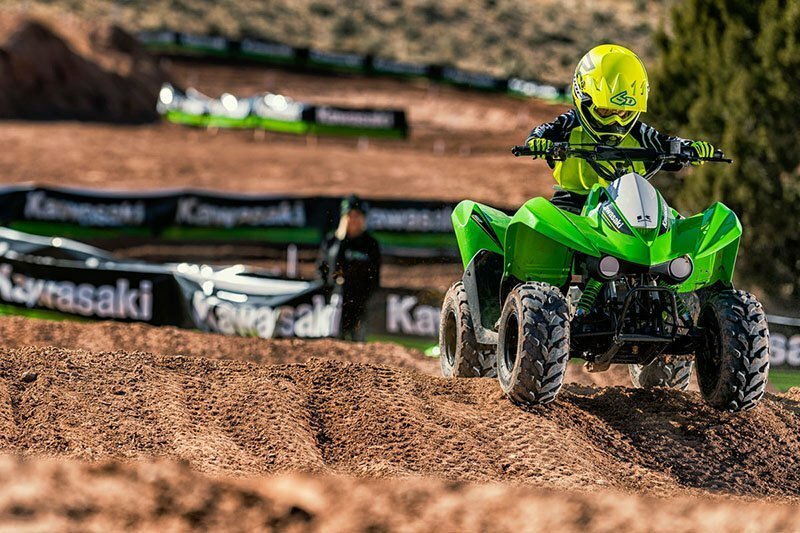 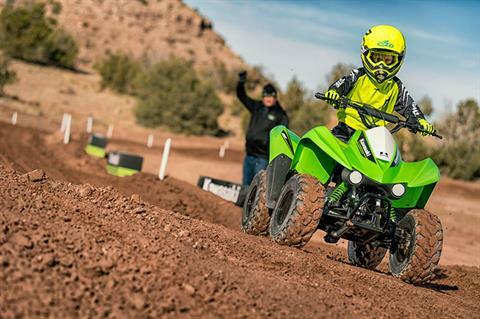 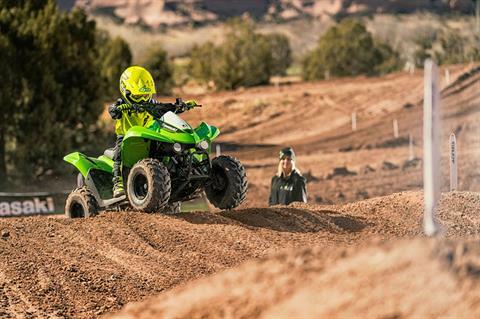 THE KFX®50 ATV IS THE PERFECT FIRST ATV TO INTRODUCE NEW RIDERS 6 YEARS AND OLDER TO THE EXCITING FOUR-WHEEL LIFESTYLE. 49.5cc 4-stroke engine and automatic transmission delivers smooth beginner-friendly performance. 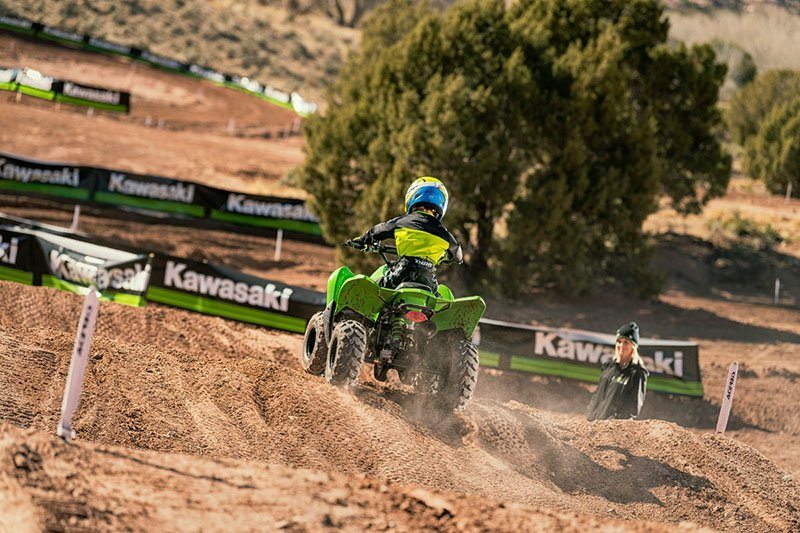 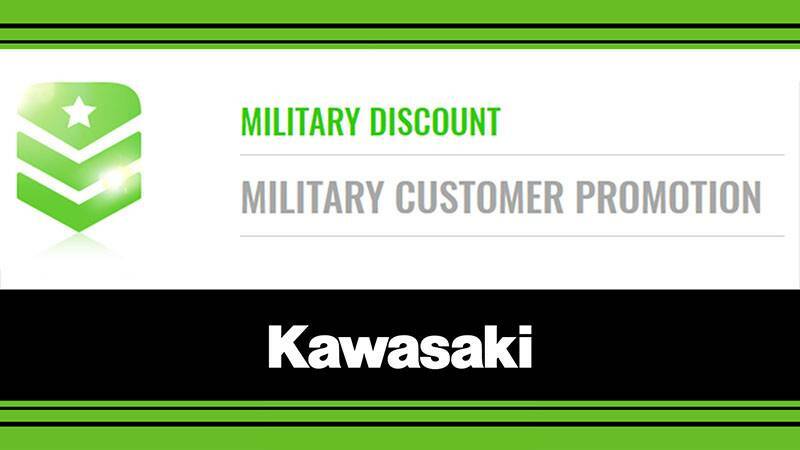 Parental controls such as an engine stop lanyard, adjustable throttle limiter, and Continuously Variable Transmission (CVT) collar allow the speed and performance to be adjusted to match rider experience. 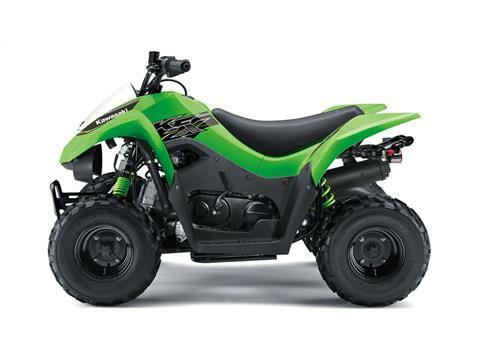 At rear axle - 3.3 in.